Book Beat: the latest news in publishing for the week of November 10, 2018, which includes this year's PW Industry Salary Survey and J.K. Rowling's lawsuit! Hello lovely readers! Welcome to another week of Book Beat, brought to you by your Bookmarked editor, Paige. As we near the end of the year, it’s about time for some self-reflection. You take a good hard look at your year and see all the things that have gone right, what’s maybe gotten a little off track, and what needs a complete overhaul in the new year. This is not just a valuable personal exercise, of course. Industries do, and should do, this kind of soul searching as well to improve their outreach and deliverables to consumers. And book people are a particularly introspective bunch. So, let’s take a quick dive into the industry’s most recent internal conversations — from a comprehensive view of industry demographics to a little bit of housekeeping around one famous author’s finances. Industry professionals and hopeful future employees take note — Publishers Weekly‘s annual survey on salaries in the publishing industry has been released! First started in 2013, hundreds of industry employees receive the PW Publishing Industry Salary Survey every summer. This survey is used to analyze the overall publishing landscape and gauge industry topics of note within a given year. This year, PW heralded their report with the following assessment — “change comes slowly to the publishing industry.” Out of the 664 respondents to the survey, 86% were white employees. Further, the average pay gap between the men and women who took the survey was $27,000. The survey did note some positive trends, however. Nonwhite respondents with less than three years of publishing experience made up 19% of all nonwhite respondents, which points to an increase of people of color entering the industry. There are also more women in management positions, where they close the pay gap by $3,000. The top complaints within the industry in the past year include the industry’s low pay, heavy workload, and lack of advancement opportunities. Women particularly expressed these concerns more than male respondents, and more women also reported incidents of sexual harassment occurring while on the job as well. The full report is an illuminating, analytical introspective on the publishing industry, and I encourage all interested book people to check it out. As you may know, Barnes & Noble has been going through some pretty intense drama lately. To recap, the national bookseller has been seeking a buyer who will save the business from financial instability. However, attempts so far have been incredibly unsuccessful. B&N briefly courted a potential buyer in June of this year, but for mysterious reasons it didn’t work out. Instead, the fallout of that failed deal sparked the abrupt firing of former CEO Demos Parneros and lawsuits between the feuding parties. Meanwhile, B&N is still trying to find and evaluate new potential buyers. At the very least, we now have some more insight into this year’s failed buyout deal. 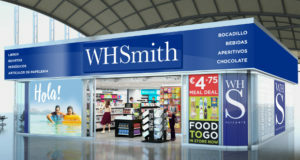 Parneros’ complaint against B&N has revealed that U.K. retailer WHSmith PLC was B&N’s potential buyer. 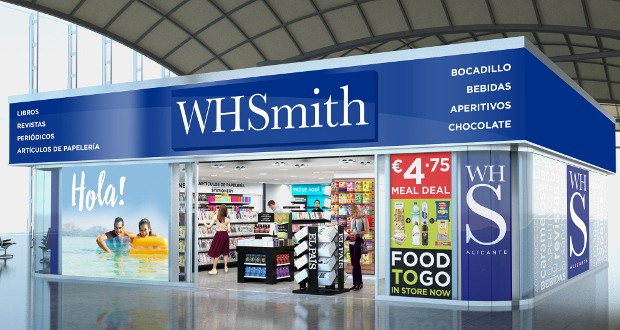 The deal between B&N and WHSmith allegedly fell through after WHSmith conducted due diligence on the organization. Parneros’ complaint suggests that B&N accused Parneros of sexual misconduct and other destructive behaviors, which would have caused the failed deal. Of course, Parneros denies all allegations about his poor behavior in his lawsuit. Whatever the truth may be, the result is a major setback for B&N. A merger with an international retailer of such prominence would have greatly expanded the bookseller’s reach and influence in the book world. Here’s hoping some resolution comes out of this situation soon. For good or for ill, J.K. Rowling will forever remain a highly influential figure in the international book world. As the Harry Potter franchise chugs along with supplementary reading material and a few lackluster films, Rowling has mostly kept herself busy (and a bit controversial) on social media. But a new headline has sparked renewed interest in the famous author, and for a very serious legal reason. Rowling is suing her former assistant for misappropriation of cash from February 2014 until April 2017. The assistant allegedly spent about $31,000 of Rowling’s money on an assortment of random items, such as luxury skincare, candles, stationary, Starbucks, several hundred dollars in cash, and two cats. The assistant, who controlled memorabilia requests during her employment, also apparently stole a motorized Hogwarts Express toy, a collector’s edition of the Harry Potter film series, and a copy of The Tales of Beedle the Bard. The assistant denies all of Rowling’s allegations, so it’ll be interesting to see how this plays out.